Progress is desirable and possible, but not on the basis of pseudo-scientific theoretical novelties and fads which are in many cases merely alibis for moral responsibility and moral training. Science is a mighty weapon, a glittering sword in the hand of civilization. But if civilization permits science to rob it of its moral foundations it will be a case of suicide by falling on its own sword. With the CDC’s report that American fertility and reproductive rates have fallen to record-lows and, at a Total Fertility Rate (TFR) of 1.76 we’re dangerously below the 2.1 TFR needed to maintain population levels, this is potentially catastrophic for our nation’s and people’s future. So, Gentlemen – especially my fellow White men – we need to get busy fulfilling our reproductive duties. Hence, this post goes beyond the appreciation of the female form and prurience – though, as we all know, prurience is no oddity in Reflections From A Murky Pond – and is meant as both inspiration and a call to action. America needs babies! So, gentlemen, we need to get out there and make some… a lot of them. 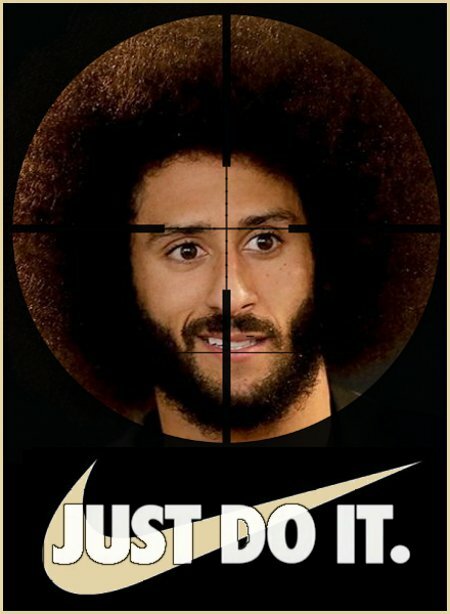 Do it for you country! This entry was posted on Tuesday, January 22nd, 2019 at 7:48 am and is filed under Society. You can leave a response, or trackback from your own site. This entry was posted on Tuesday, December 25th, 2018 at 1:45 pm and is filed under 2018 Elections, Politics. You can leave a response, or trackback from your own site. 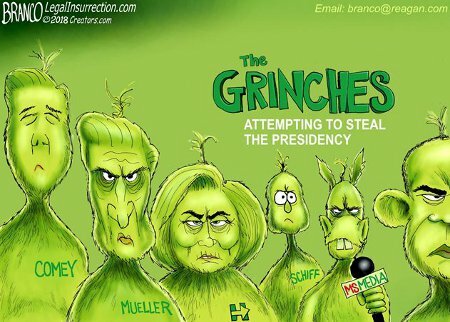 The ever hate-filled Left, through their mouthpieces such as Obama, Hillary, and Biden, make a habit of calling the American people – most especially those who make up the nation’s heartland – bitter, irredeemable, deplorable dregs of society. Now, we who are American men shouldn’t be too mindful or thin-skinned about what those sorts call us. However, those same sorts make no gendered distinction with their slurs and labels. Hence, the American distaff, those beautiful wives, sisters, and daughters of America are also being decried as bitter, irredeemable, deplorable dregs of society. And that, as American men, we need to care about a great deal if we are to still be worthy of being called either American or Men. We’ve all heard this “othering” before, just with different labels. We’ve all read about what the purposes behind such dehumanization are. We know what happens when certain women are deemed unworthy in all ways. Hellfire! Our nation went to war to end this sort of thing in the 1940’s! Always remember that a man, most especially an American man, does not count the cost to himself when it comes to defending women. Nor, Gentlemen, does he balk at what he must wreak upon the enemy in defense of women, knowing that whatever he must do can be neither sin nor crime in the eyes of patriots and their God(s). This entry was posted on Saturday, September 22nd, 2018 at 10:46 am and is filed under Politics, Society. You can leave a response, or trackback from your own site. This entry was posted on Saturday, September 8th, 2018 at 8:32 am and is filed under Announcements, Humor, Society. You can leave a response, or trackback from your own site. 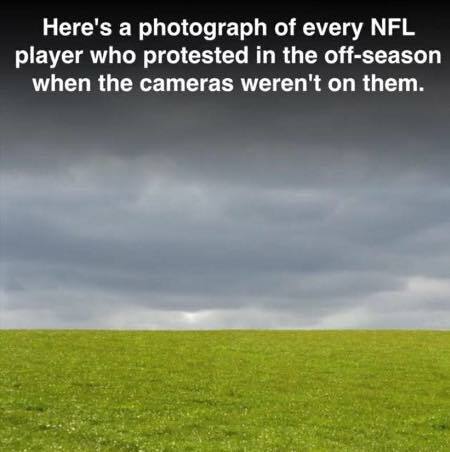 Yes, as we go into the 2nd season of the certain sorts of NFL players’ childish and offensive pre-game kneeling, it’s good to remember that these jumped-up ghetto thugs are never seen “protesting” anything during the off-season. No, if they can’t garner attention by offending the majority-White audience with their flagrant disrespect for all things American, they’re not interested. This entry was posted on Sunday, August 19th, 2018 at 6:25 am and is filed under Society. You can leave a response, or trackback from your own site.